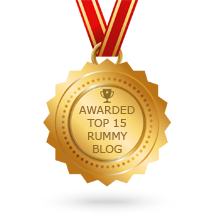 DeccanRummy.com, one of the hottest rummy destinations to play rummy online is known for its high-value promotions and festival offers. We have a reputation of adding more joy to your festivals with bumper value free rummy tournaments and bonus offers. 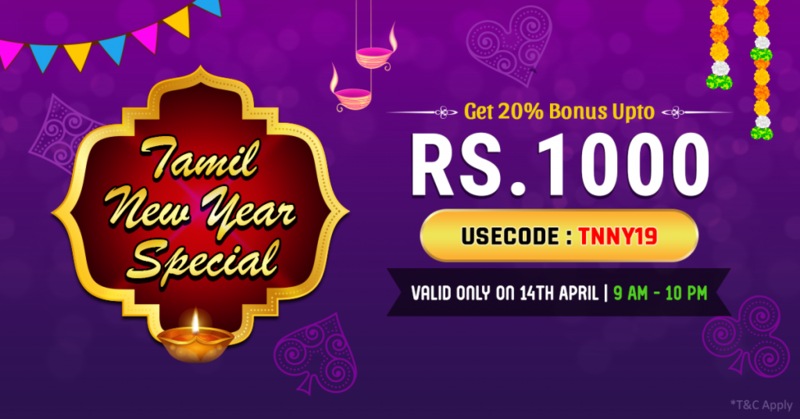 Now, we are back with an excellent bonus offer for this Tamil New year. Millions of Tamils living across different parts of the world celebrate every April 14 as Tamil New Year Day. Hailed as the ancient most culture in India, Tamil Nadu is one state which has a strong regional identity and celebrates their festivals with much passion and enthusiasm. Set with the solar Hindu calendar, April 14 is the first day of the New Year and the day is declared as a public holiday. Alternatively, the festival has other names such as Puthandu or Chithirai Thirunaal. On this day, people in Tamil Nadu get up early, clean the houses, take part in prayers, wear new clothes and sit down relishing on lavish vegetarian dishes. In the evening, people visit their relatives and friends to exchange pleasantries and wish each other a Happy New Year. Tamils consider this day as promising, and there is a widespread belief that wealth accumulated on this day is regarded as a good fortune. We at Deccan Rummy, want to do our bit to ensure, your day turns out to be amazing and memorable. It’s the reason we have come up with this Tamil New Year Special Bonus on this special day. 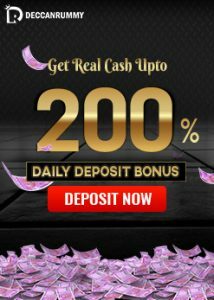 On this day, players who make a deposit have a chance to win 20% Bonus up to Rs. 1000. The offer is valid only on April 14, and the offer is active from 9 AM – 10 PM this day. Players have to deposit with the bonus code “TNNY19” while depositing which they will receive the bonus amount. 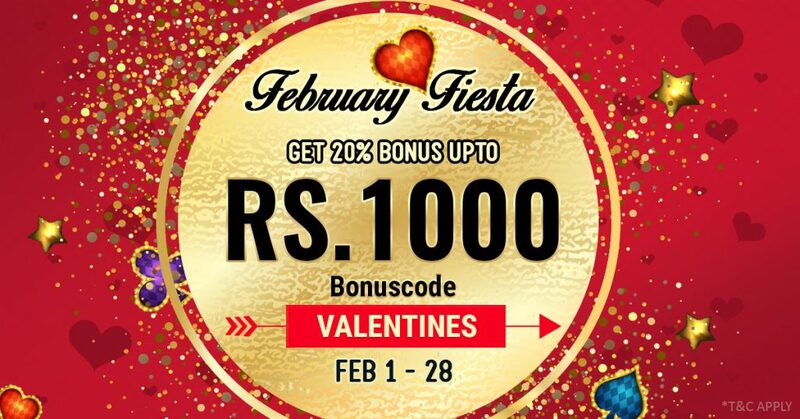 Make your day more special by availing this spectacular bonus offer. Deccan Rummy has pulled out some stunners from the bag, and this offer is one more valuable addition to our excellent list of offerings. 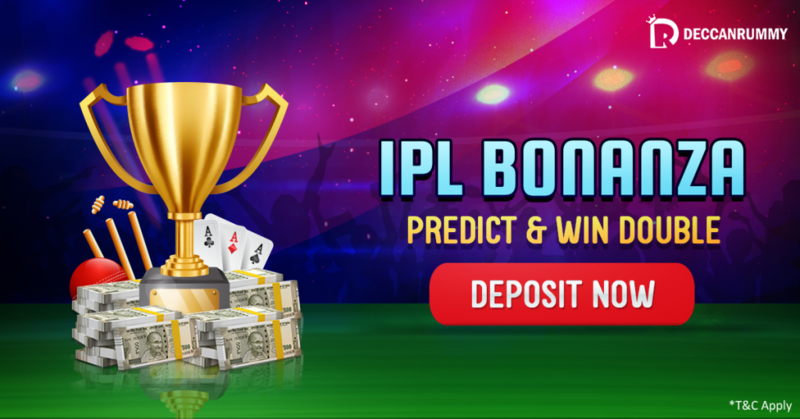 Apart from the regular bonuses on for this month – Atomic April and Deccan Bonus Bounty, Tamil New Year bonus offer is yet another valuable offering which helps you to build a substantial bankroll. Come and avail this exciting bonus offer and multiply your wealth on this auspicious Tamil New Year day. Regular players are super excited about the offer. Says Vikas342, a consistent player at DeccanRummy.com “The reason I like playing more at Deccan Rummy apart from the elegant user interface is that they continually astound the players with great offers. They have a history of coming up with gorgeous promotions during Indian festivals, and I’m looking forward to availing the New Year bonus offer”. Deccan Rummy is proud to join you in celebrating the festival of Tamil New Year. We hope this festival brings you immense joy and the year brings you plenty of growth and opportunities. So, participate in this delightful bonus offer and stack more cash in your account to play rummy for cash on our vibrant tables! 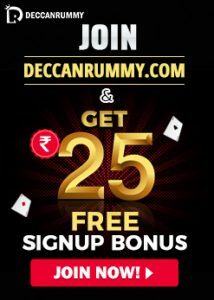 India’s fastest online rummy website, Deccan Rummy is all set to delight the users with a series of promotions as we head into the March Month. Wanting to make this March month memorable and marvelous, we have designed a few promotions which will be up shortly in our website. 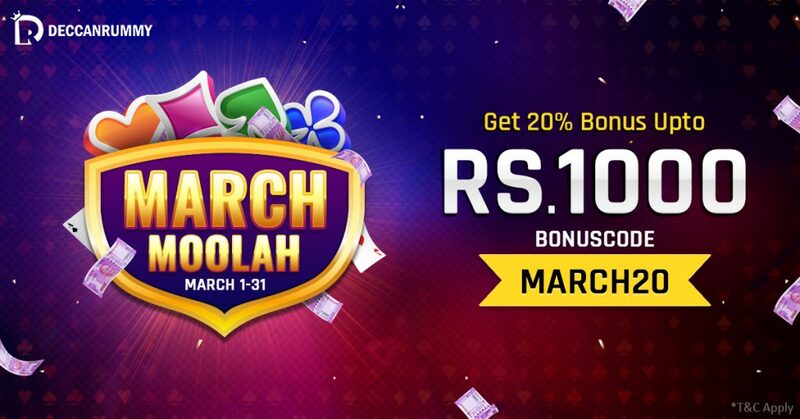 The first promotion in the lineup of exciting promotion is the March Moolah, an exciting bonus offer. If you are a regular player at Deccan Rummy, you might know that every month we delight the users with an exciting bonus offer at the beginning of the month. This is done to give the player more value for his deposit. Any player depositing cash would want something extra and our monthly bonus offer has been delivering just that.